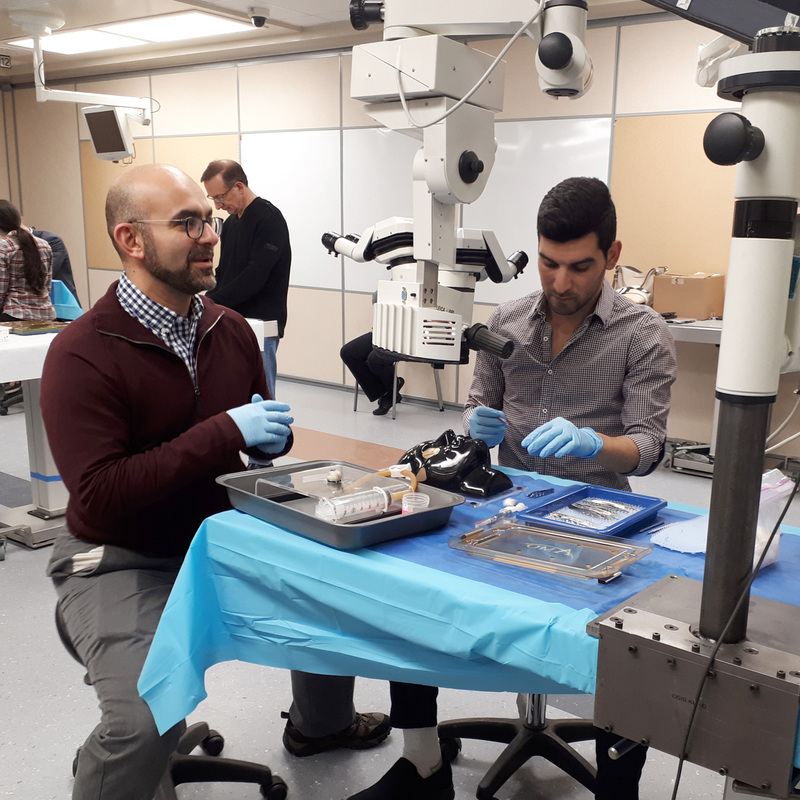 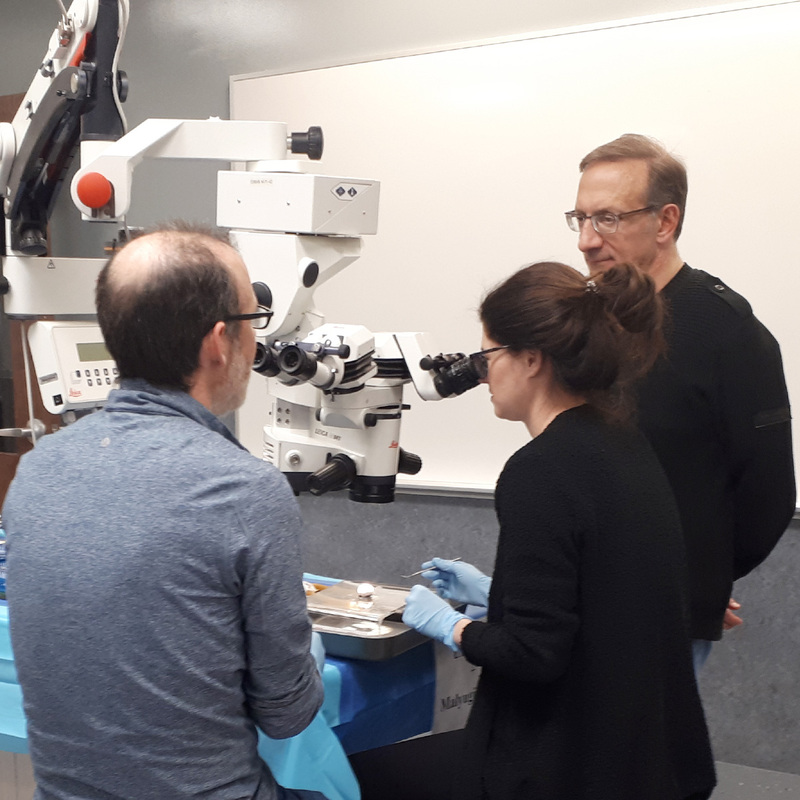 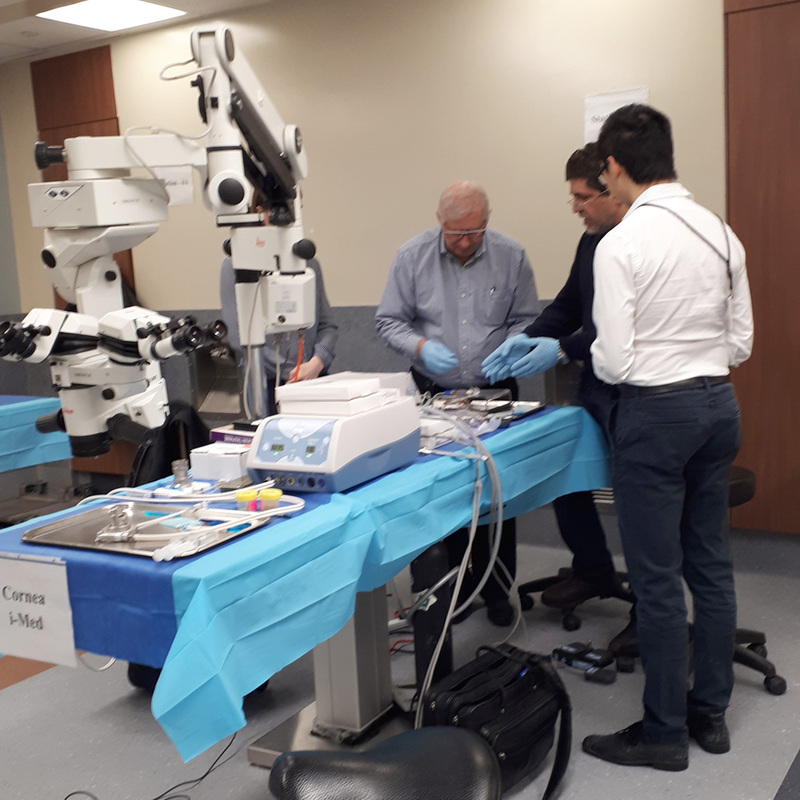 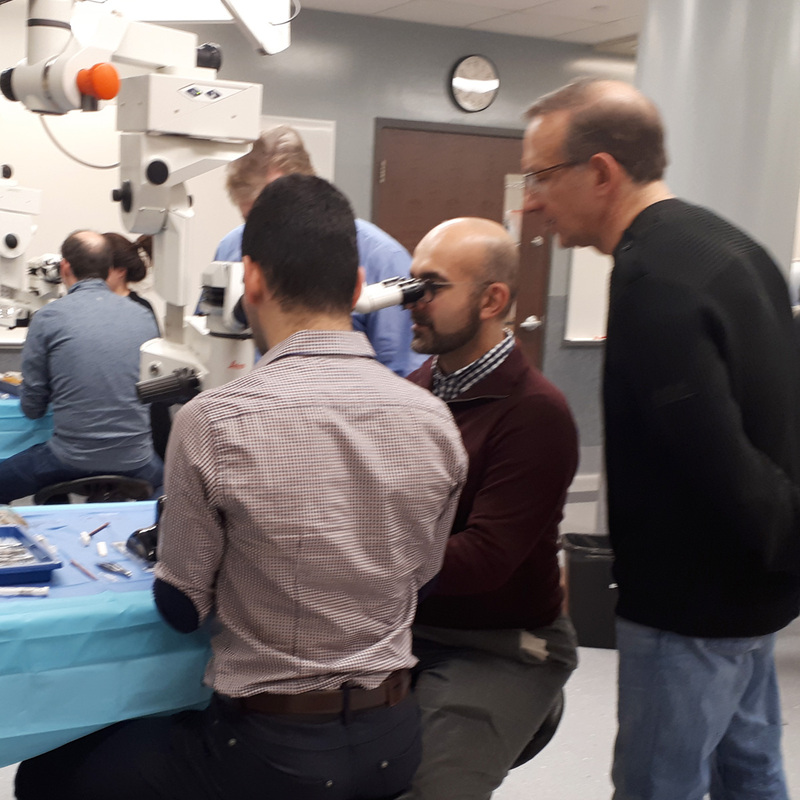 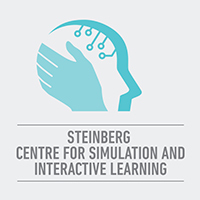 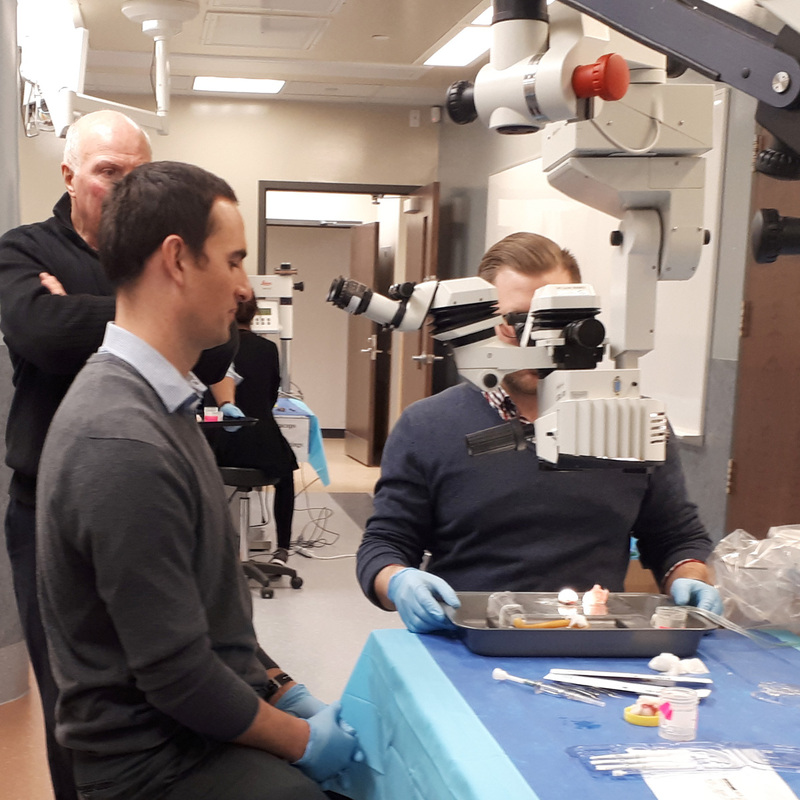 Fourth-year surgical residents from the McGill University Ophthalmology Program were at the Steinberg Centre for Simulation & Interactive Learning to take part in the advanced wet lab workshop this week. 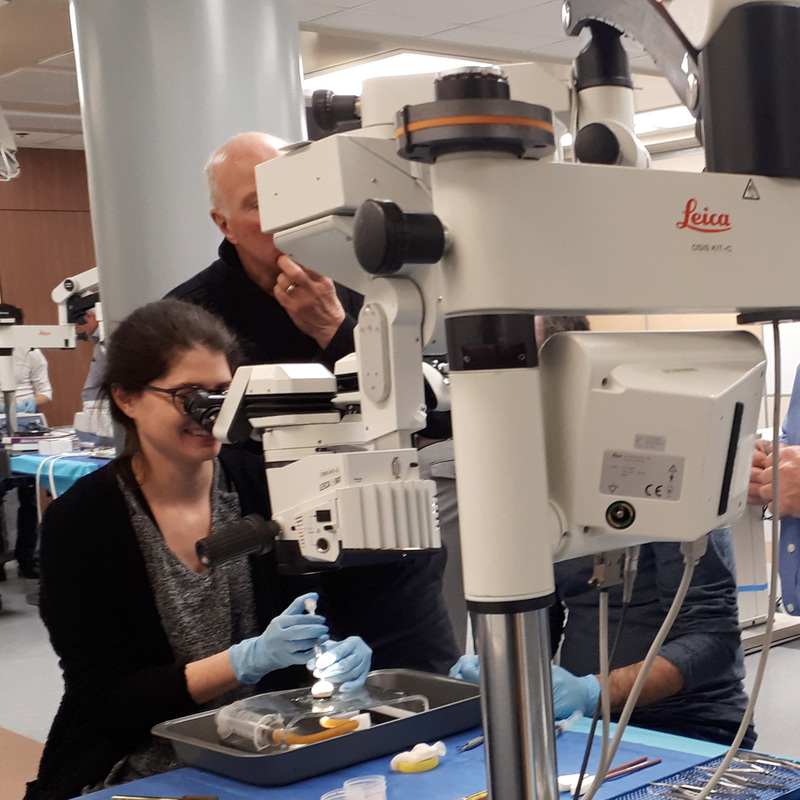 Working with high-tech equipment including Leica microscopes and the WHITESTAR Signature® System, learners were able to perform different types of eye surgery and procedures. 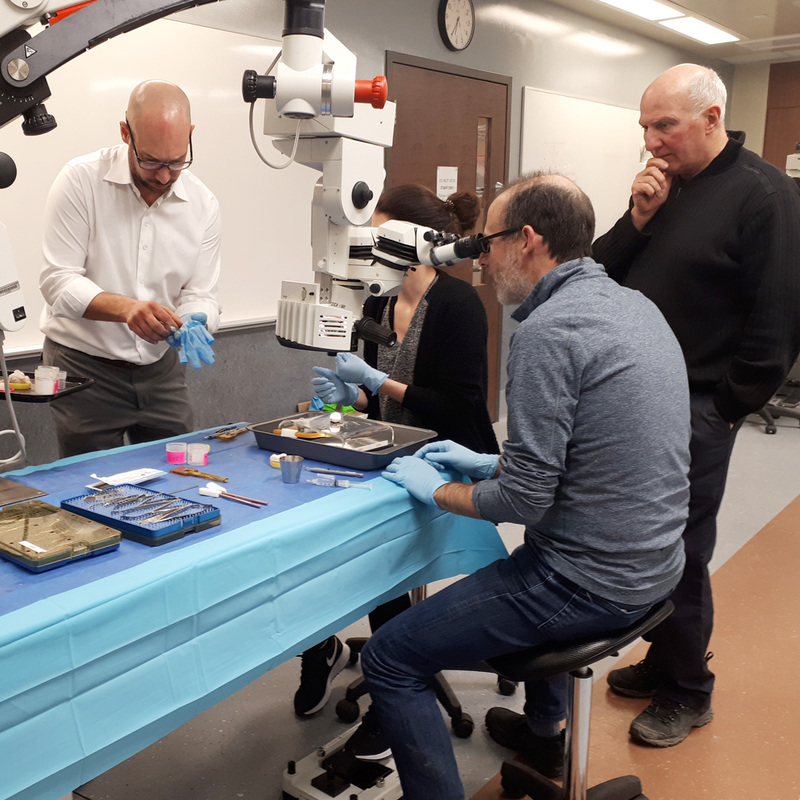 With a one-to-one teacher-to-student ratio, these workshops offer a valuable opportunity to get hands-on practice in a safe environment. 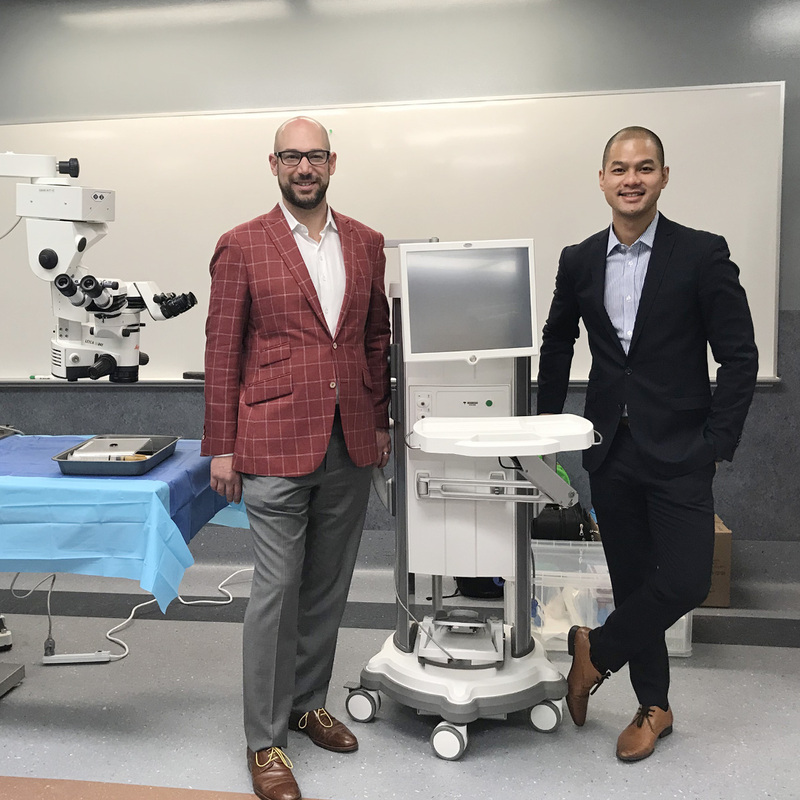 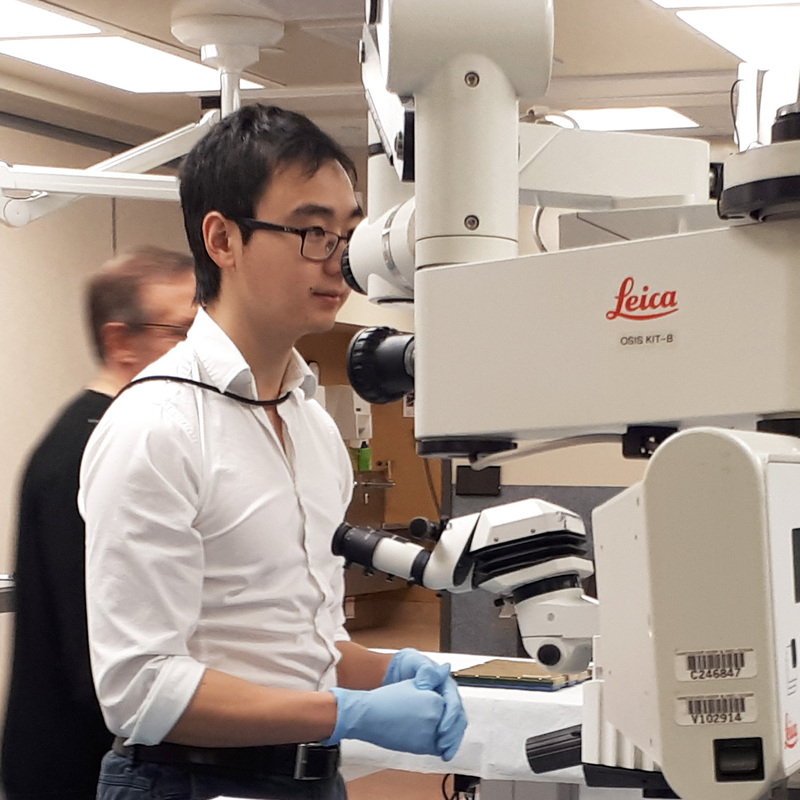 "There’s nothing more rewarding than to invest in the training and development of our future eye surgeons,” say Jean-Sebastien Roy and Vuth Chum from Johnson & Johnson Vision, who were very pleased and proud to be a partner in this wet lab. 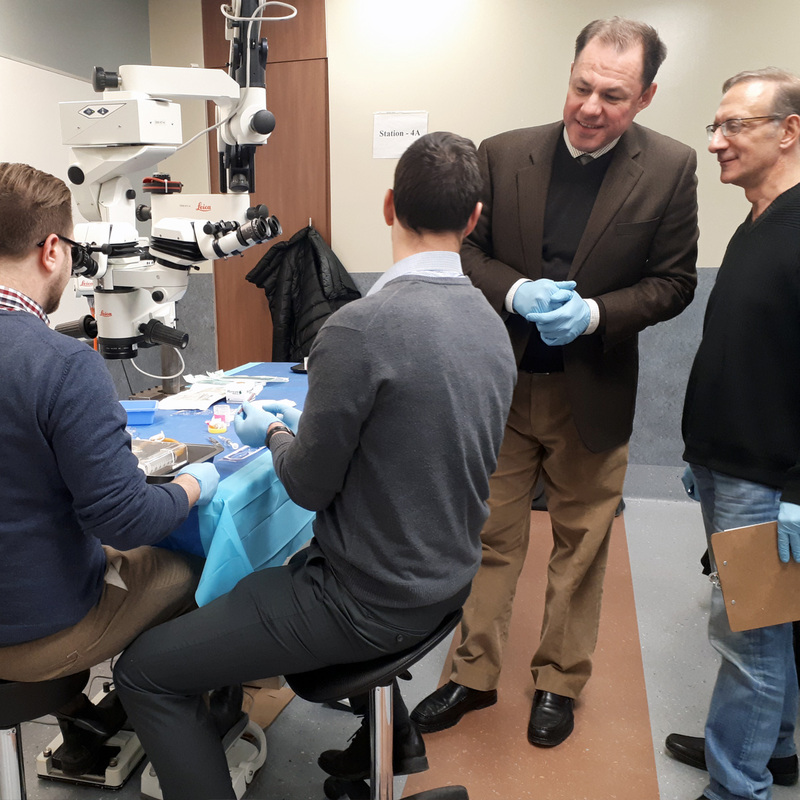 Thank you to Dr. Marino Discepola, along with all of our dedicated instructors and industry partners, for your important role in this visionary day!